1. Wynwood Art Walk – This is the biggest of all the Miami Art Walks. 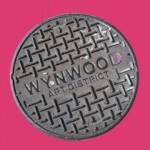 It is located in the famous arts district of Miami, Wynwood. The Wynwood Art Walk takes place on the 2nd Saturday of every month. The art walk starts around 7pm through 10pm. It is located just north of downtown between 23st and 30th streets and NW 2nd Ave. If this is your first time at the famous Miami Art Walks then refer to this map cause it’s not easy to get around for a first timer. This event which happens every 2nd Saturday of the month has really grown to become an event. I can remember a few years back when I could hear my foot steps clacking on the gallery floor. Now its hard to hear the conversation between ones company. Anyway, check it out. The best galleries are there with consistently good stuff. 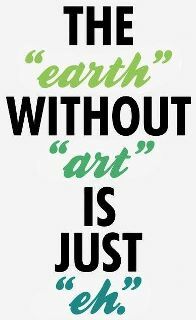 We are talking Praxis Fine Arts, Pan American Art Projects(2450 NW 2nd Avenue Miami, FL 33127) NOW Contemporary and others. Also the famous Wynwood Walls are near by. Where exactly? Follow the music! Are you gonna be hungry? Well follow your nose, because the gang of gourmet food truck are enticing.Click here for some restaurants we recommend. Best way to get to the Art Walk is to take I-95 (north or south depending where you are coming from, then merge to 112 east (beaches) aka Interstate 195, get off at North Miami avenue exit. Head south of North Miami Avenue. Finally west (right) on 23st. Or just click here for Google Maps link. 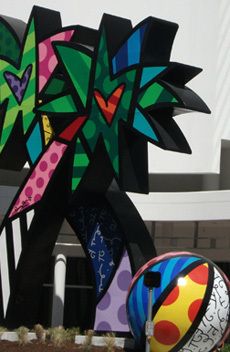 3.Lincoln Road/South Beach – Number 3 on the list because of so many things to do incase you don’t like the exhibit. 1st Saturday The Lincoln Road, South Beach Art Walk takes place the 1st Saturday of every month. 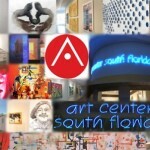 It runs from Art Center/South Florida on Lincoln Rd to the CANDO Arts Co-Op Gallery by the Bass Museum of Art and the Romero Britto Gallery. Lots of restaurants and shopping nearby and other entertainment. Same night as the Coconut Grove Art Stroll. 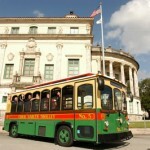 4.Coral Gables Gallery Night – The Coral Gables Gallery Night takes place the 1st Friday of every month. This used to be the number 1 art walk back in the day. 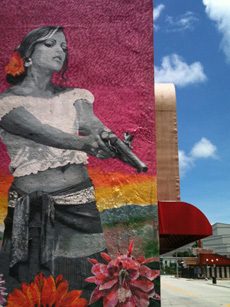 Although its seen its hey day its still worth going for a look at works that the Wynwood Art District neglects. This Art Walk consists more of classical and representational works. I recommend it. 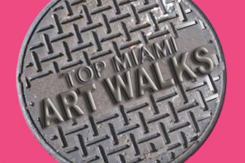 Start your walk at one Miami’s longest running art gallery Virginia Miller Fine Art (169 Madeira Avenue Coral Gables,Florida, 33134) Stop by Tarpon Bend (65 Miracle Mile, Coral Gables, FL 33134-5403) for some drinks after. That’s what we do. This walk is centered around Ponce Circle Park, but is fairly spread out. 5. Bird Road Art Walk – 3rd Saturday Just east of SR-826 (Palmetto Expressway) & south of Bird Road (SW 40th Street) to SW 48th Street and to SW 72nd Avenue. 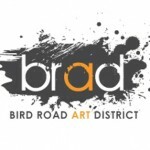 The Bird Road Art (BRAD) Walk takes place the 3rd Saturday of every month. It is located just east of SR-826 (Palmetto Expressway) & south of Bird Road (SW 40th Street) to SW 48th Street and to SW 72nd Avenue in an old warehouse complex that has been converted to artist studios. They bring in food trucks each month to provide the eats. Most studios provide complimentary wine and snacks. 6. Viernes Culturales in Little Havana: The smallest of all the art events but it makes up for the crash course of Cuban culture that you will receive. The art here all have one thing in common, nostalgia. 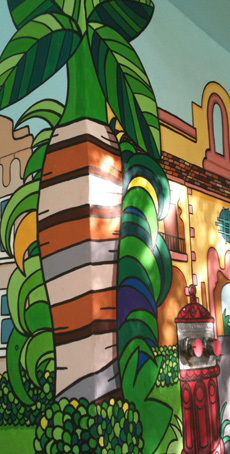 Art work in this district reflects the deep nostalgia that the Cuban exile has for their homeland, while at the same time paying tribute for their new found paradise. So if you are a tourist and open to learning about the latin culture, food and art you should definitely stop by. It takes place every last Friday (Viernes means Friday my people) of the Month. SW 8th Street (Calle Ocho) between SW 12th Ave and SW 18th Ave.
hi did you get info on how to become a vendor im searching as well. Who know how can we Rent a space To participate????? Please give me a hint!!!!!! But I don’t see any answer explaining how To DO it!!!!! There’s Anyone CAPABLE To help or no!!!!!!!!! Maybe share The space ,give any tipsssssssss!!!!! FAD…It takes place every other month. Next one is on May 18th.. there’s great art…food trucks and trolleys to take you around.. Good start is the Ceramic League of Miami, (8873 SW 129 street), They have beautiful hand built ceramic sculpture for sale in their artists’ studios…. i’ll make sure to go! In fact we’ll post about it soon.Thanks! Hi there I wanted to know any information who to contact about setting up a henna tattoo table , if anyone knows ANYWHERE that I can please email me at blessedhenna@yahoo.com I am brand new business and dont know at all where I can set up on a lowbudget. any help is appreciated, thank you so much and blessings. do you have info on how to become a vendor? Hi, Im interest in setting up a table and being a vendor in the Wyndwood Art Walk for the second Saturday of the month. Please email me at marysai@msn.com. excited to see that I could actually sell my hand made jewlery. I do a lot of beading and I like to use a lot of color. Please let me know if I can come to see you for approval. 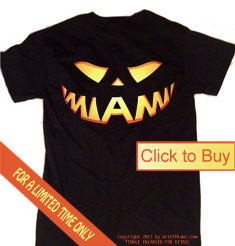 My phone number is 305-710-0455. Does anyone have any information on working at the art walk setting up? Hello, I’m interested in becoming a vendor at the Wynwood Art Walk for the second Saturdays event. Please email me a pamelam1390@hotmail.com. with any information in regards to it, would be greatly appreciated. Thank you! Hi, Im interested in becoming a vendor at the Wynwood Art Walk for the monthly second saturday event. Please email me at lope631@gmail.com with any information in regards on obtaining a space for this event.